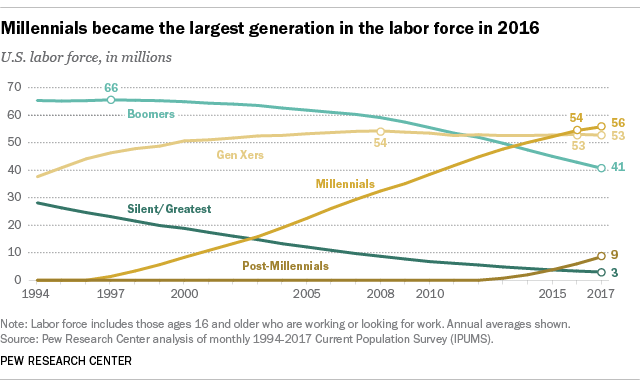 The Millennials (born 1981-1997) are all grown up and are America’s largest generation. Ignore the Millennials at your own risk. So….surprise! The Millennials are no longer rebellious teenagers. Welcome to 2018—they are working adults, 22 to 37 years old. More importantly, the Millennials are the “new” decision-makers and influencers in their companies. 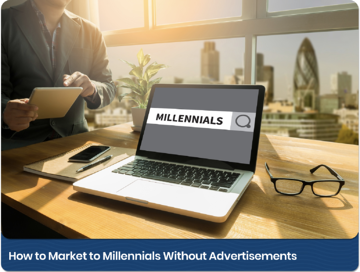 If you want to appeal to today’s largest population segment, you need to give some serious thought on how to market, sell, and engage with the Millennials, because they are different. According to Pew Research Center, 40% of the Millennials have at least a bachelor’s degree. Compare this to 32% for the Gen Xers and 26% for the Baby Boomers. Respect their intelligence and education and realize that traditional marketing tactics won't get a response from Millennials. They probably don’t remember what life was like before the Internet; they grew up with Google, Facebook, Instagram; and, with 98% of them using smartphones, they are responsible for the demise of desktops. If you want Millennials as part of your customer base, your website needs to be mobile-friendly and you need to engage with them using the right social media strategy. 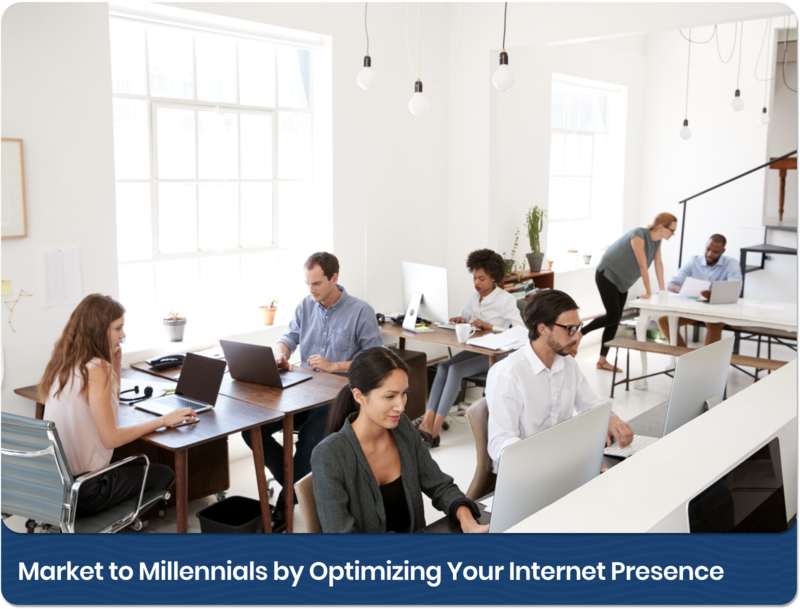 Learn how to create an internet presence that will engage with Millennial customers. Millennials absolutely don’t respond to the hard sell. According to Forbes, only 1% of the Millennials said that an advertisement would make them trust a brand. The standard dog and pony show that touts the features and benefits doesn’t work with the Millennials. 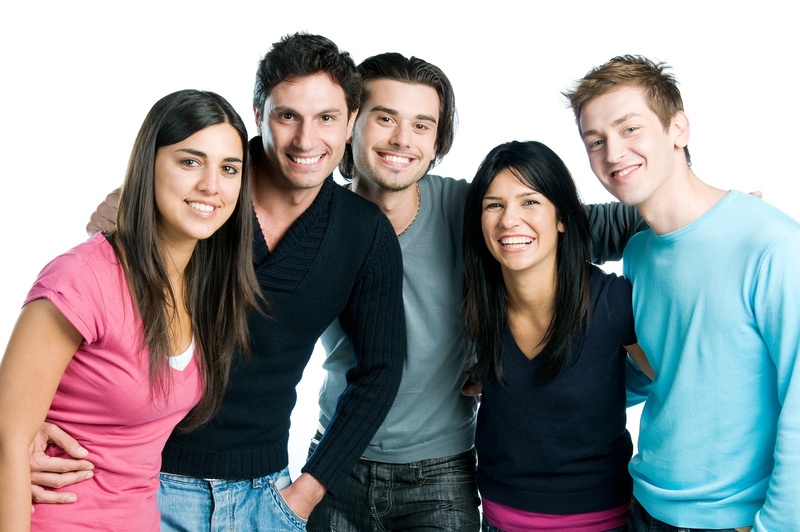 Take a look at ways to market to millennials without advertisments here. Millennials research before they buy, so create content that provides answers. With so much information at their fingertips, it’s no surprise that 93% of the Millennials will read a review before making a B2B purchase. If you think you can do the bait and switch, think again. By the time they speak to your sales team, they have already done extensive research on you and your competition. You need to be transparent about your pricing, services, products, and company culture. Get ideas on how to create valuable content that answers research questions here. Greed is not good, so be transparent about any social and corporate responsibility. Millennials don’t like corporate greed and the relentless pursuit of profit. They want to associate themselves with companies that “do the right thing,” and 70% of them will spend more on brands that support causes they care about. Be careful here; don’t just pick a random cause that you don’t believe in. You need to make sure that your corporate responsibility actions are in alignment with your purpose. 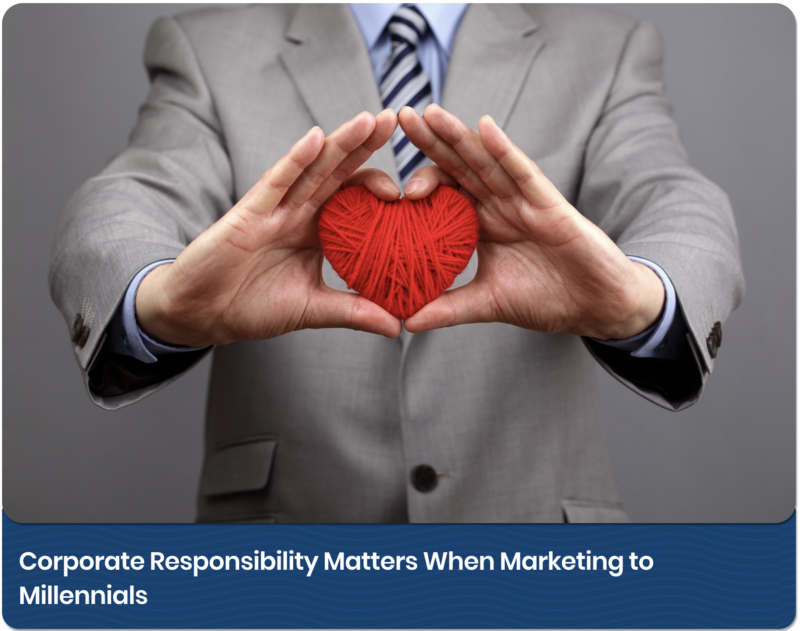 Discover how to be transparant about your corporate responsibility practices. 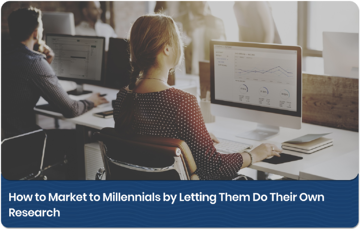 While my generation (yes, I am a Gen Xer) values a vendor’s ability to deliver products or services, and the Baby Boomers look for speed, the Millennials value “the ease of doing business” with you and your company. So, no: the end does not justify the means, and how you deliver your services is just as important as your ability to make good on your promise. Remember, they don’t just care about what you can do for them; they care about what is it like to work with you. 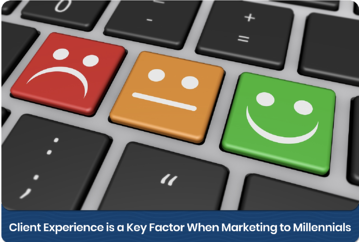 Learn how to deliver your services in a way that provides a positive client experience here. Are you ready to dig into the details, go beyond the generalizations and truly identify your target audience? Download our free Buyer Persona Template.